I have been a Coldplay fan since 2000’s Parachutes, which was a pretty brilliant debut. Although I have liked some albums less than others, Coldplay has never issued a stiff. They have continuously evolved their sound, but they have remained true to who they are – an unabashed pop band. I have often considered them U2 wannabes and/or Radiohead-lite. But that characterization seems derogatory for a band I like. They are just a pop band that has been churning out hits for 15 years. If that was so easy, why don’t more bands turn that trick? Paul McCartney proved writing “Silly Love Songs” takes expert craftsmenship if not artistry. I liked their last album even though it was not full of arena anthems. Head Full Of Dreams is a return to classic arena anthem form. It is pure ear candy. You can imagine every one of these songs as an arena sing-along. The album opens with the titular track. It is quintessential Coldplay. This track would not sound out-of-place on any of their albums. “Birds” emphasizes rhythm over melody and nods to hip hop (something the band has been doing since Viva la Vida or Death and All His Friends). “Hymns For The Weekend” opens with a Beyoncé vocal (it helps to have friends I high places). This a hip hop song without a rap. It is the ultimate in-the-moment pop. “Everglow” has a nice minimalistic Bruce Hornsby feel. A gorgeous ballad. “Adventure Of A Lifetown” has a disco feel. It. Has a great clubbing sound. It reminds me of Bryan Ferry/Roxy Music with a bit of Daft Punk. This is the debut single. “Fun” is currently my favorite cut. It absolutely swirls. The second half is a duet with Swedish singer/songwriter Tove Lo. No “Army Of One” is my favorite song on the album. An ear worm. The track includes a hidden track “X Marks the Spot” at 3:23 mark. That hidden track is pure Kanye. My wife remarked,when hearing “Amazing Day,” that it had a prom slow-dance feel. I could not have said it better myself. Close your eyes and you can see the disco ball shards of light littering the room. “Colour Spectrum” is a brief interlude. “Up&Up” is a wonderful finale. It pulls all the stops. A full on champagne supernova – featuring a brilliant Noel Gallagher solo of course. I don’t know who the hell Stargate is, but he/she/it is one hell of a great collaborator with Coldplay as the primary producer along with long time Coldplay producer/engineer Rik Simpson on this album. 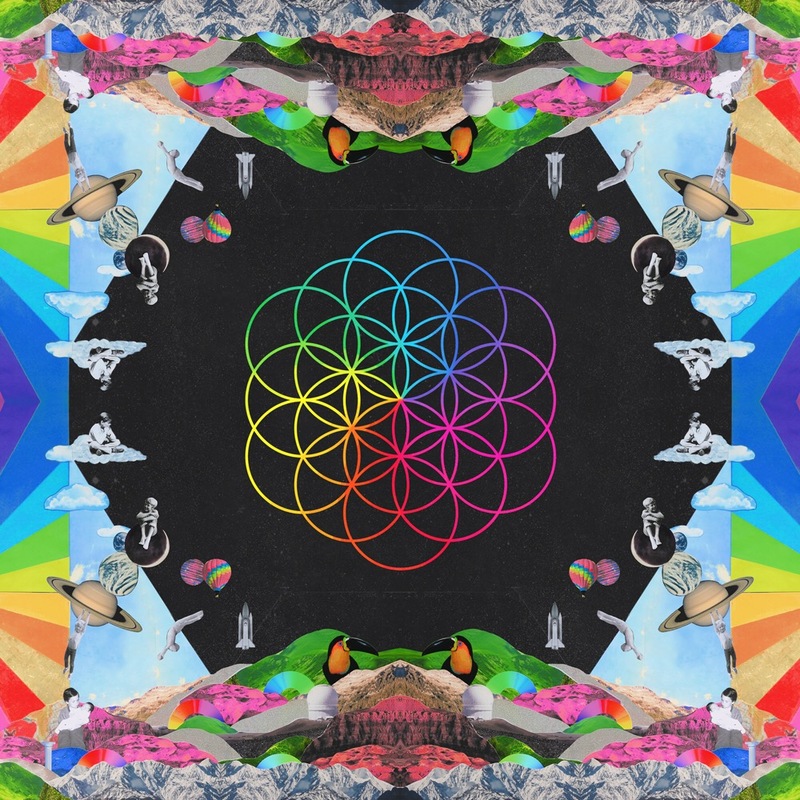 I believe this may be Coldplay’s best album since their 2002 breakthrough A Rush of Blood to the Head. My only complaint is that it is not on Spotify – I would have bought the physical copy anyway, but it is damn inconvenient that it is not on my streaming service. Overall a great album and this will clearly be on my best of 2015. Coldplay is now available on Spotify. Assume it because Spotify will filter availability to premium customers .